PG57, Dynamic Microphone from Shure. The Shure PG57 is Shure's low cost alternative to the legendary SM57. Before I say anything else, I will go ahead and preemptively tell you that they are very similar sounding microphones, and the PG57 performs very closely to the SM57. I am quite positive that only the most experienced ears will be able to tell you are lying if you mic'ed something up with a PG57 and told them that you had mic'ed it with a SM57 instead. 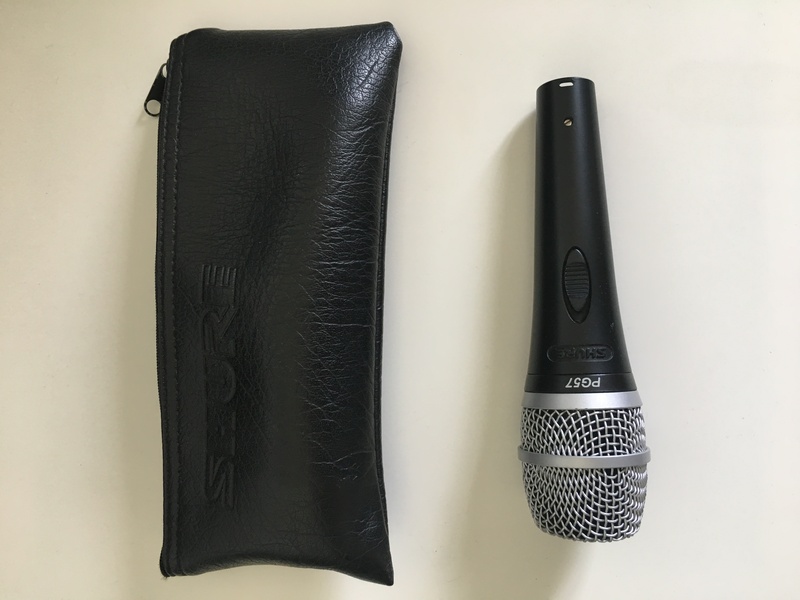 The Shure PG57 is a dynamic cardioid microphone advertised by Shure as being a low cost entry into the realm of instrument micing. 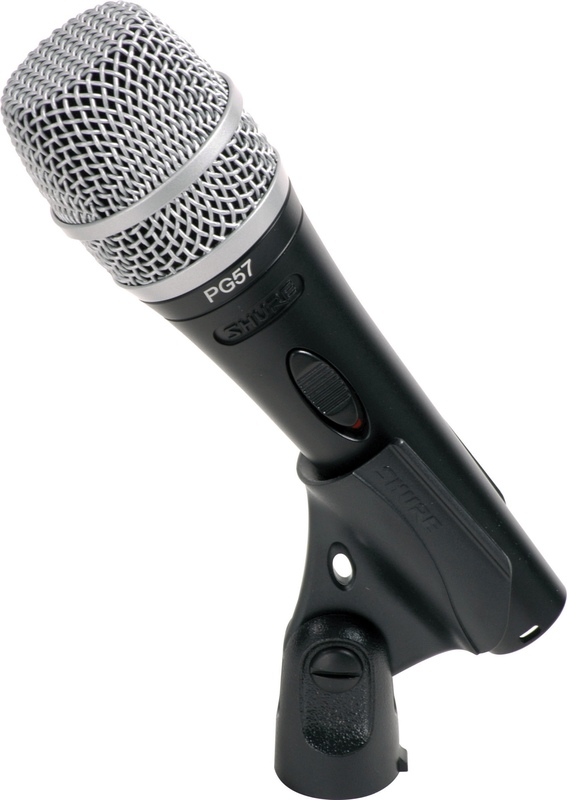 The PG57 has a frequency response of 50-15,000 Hz, which is quite a standard response for a microphone in this class. It does sound barely noticeably less rich than the SM57, but it is not such a dramatic difference that it will bother anyone. What is nice, however, is that rumble becomes just a tab bit easier to get rid of in EQ. The shape of the PG57's grill also oddly places it in the same geometric realm as the "highest end" member of the 57 family, the Shure Beta 57A. The SM57 is the odd one left out here, and I have observed that the SM57 is a little bit more tricky to get working for vocals if one has to. The PG57 and the Beta 57A are actually more preferable when it comes to vocals for the reasons of the grill and the lower emphasis in the midrange. What I find startlingly obnoxious about the PG57, however, is the switch to turn it on and off. I tend to get a bit paranoid, even though I understand that it is a nice feature if something comes up. The PG57 is a reasonable alternative to the Shure SM57 at half the price. I find, oddly enough, that the PG57 is much more versatile than its big brother, except for maybe on snares, where the SM57's small end gives it an advantage in placement. However, all things considered, don't shrug the PG57 just yet. Give it a shot! 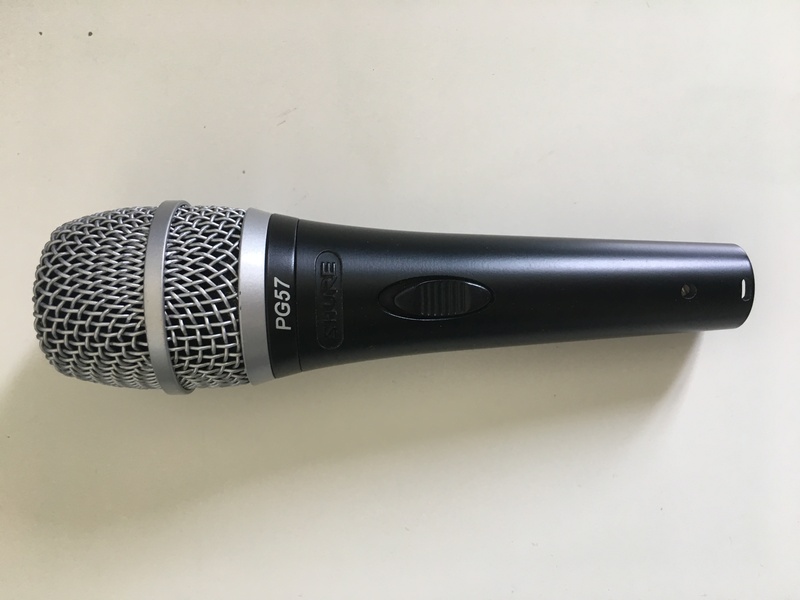 The PG57 is pretty much supposed to be a low cost other option instead of getting a real Shure SM57. The mic is a little bit different on the outside, but I actually thought they sounded very similar. There are a few key differences, first of all this mic has an on/off switch right on the handle. Seeing as this is an instrument mic and not meant for vocals really, the on/off switch is kind of useless. If you are setting this up to record something, you won't have any need to go over and switch the mic on and off. Second is the grill. 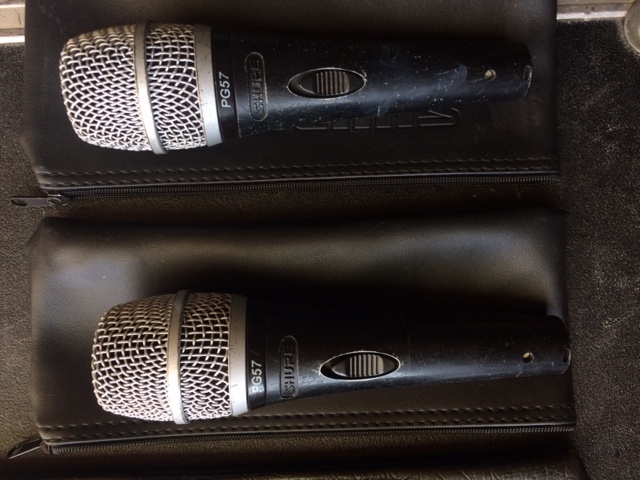 This mic has a large wire mesh grill over the top, whereas the original SM57 just has a tiny wire mesh grill on the very tip of it and plastic lines on the side. I don't think it really affects the sound, but this mic would actually stand up better if you dropped it on the head of the mic. 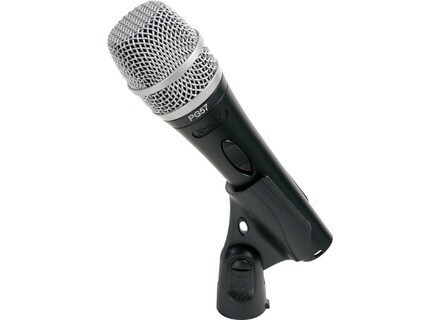 It is a dynamic cardioid mic just like the SM57, and seems to have a very similar frequency response. There is a low roll-off, and there is definitely a hyped upper mid area that is around 3khz. My brother bought this mic and I was curious to how it stacked up against the SM57 so I tried it on a guitar amp and a snare drum. Honestly, I thought it performed almost exactly as the SM57 did. I might even encourage people to just get this mic instead, and save $50. I only used this for a day when I was borrowing it, but it was long enough to recognize that this mic is basically just a discounted SM57. It sounds extremely similar and is about half the price. Those on a budget should definitely consider picking this up instead of the more expensive 57. You will find it difficult to tell the difference. It's a very good value. 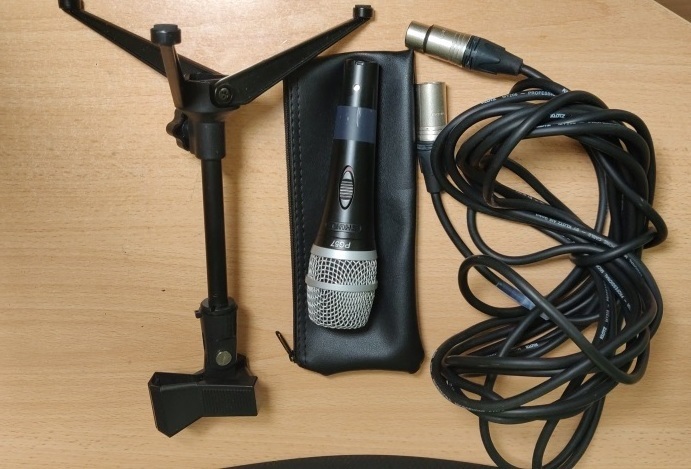 Dynamic microphone for instrument recovery style guitar amp, snare, tom. It is the little brother of the economic sm57 version. I use it for 10 months for recovery tom amp or acute. It sounds great. J also have an SM57 and sounds are not that different. Very good mic so when you have no budget for the SM57 but that we want to taste the quality Shure. The ratio Q / P is interresting: 70 euros against 120 euros for the SM57.